HID Global Fargo identity card systems combine reliable card printer/encoders with Asure ID software, materials and a long list of accessories. 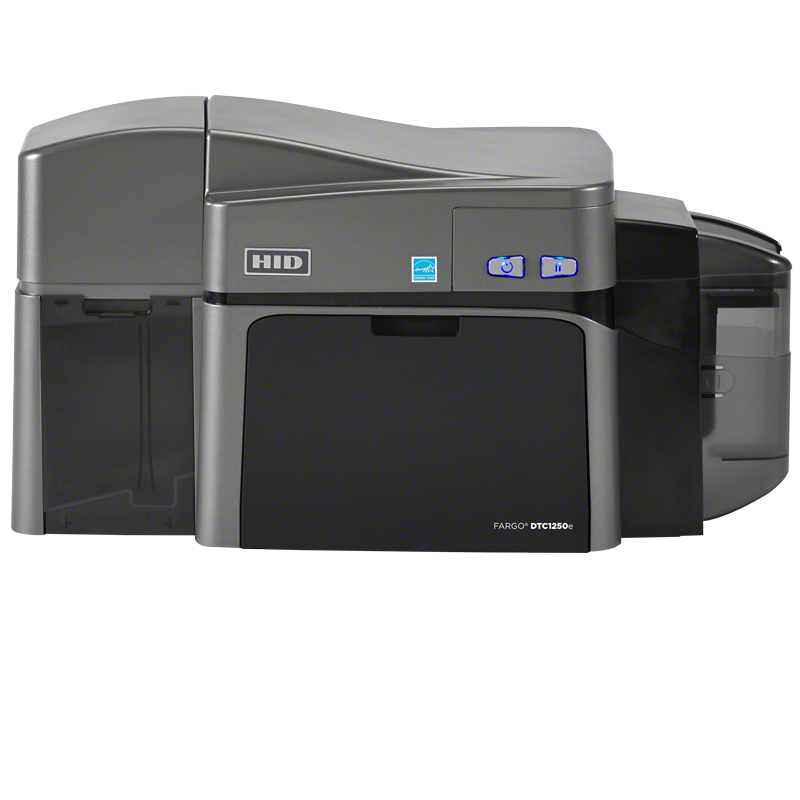 Reliability and customer-friendly features make these printer systems popular choices for organizations that service demanding applications. These inclusive solutions result in highly productive systems that personalize credentials and manage the entire issuance process. The Fargo DTC1250e card printers provide simple and affordable ID card printing. Small corporations, recreational facilities, K-12 schools and health clubs choose this system to create colorful plastic id badges for their members. The Fargo DTC4250e ID card printer is designed to give your organization a modular card printer that is easy to use and versatile. 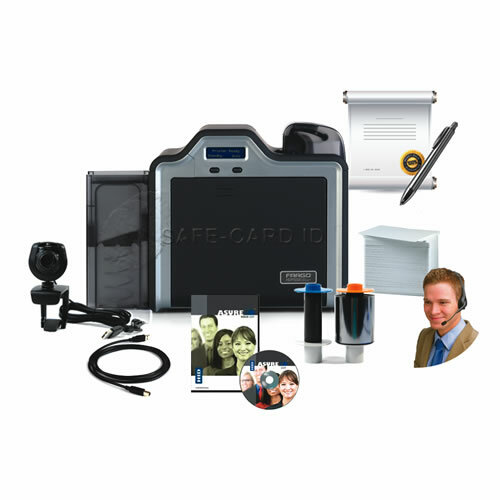 These complete systems produce colorful, durable cards for organizations. 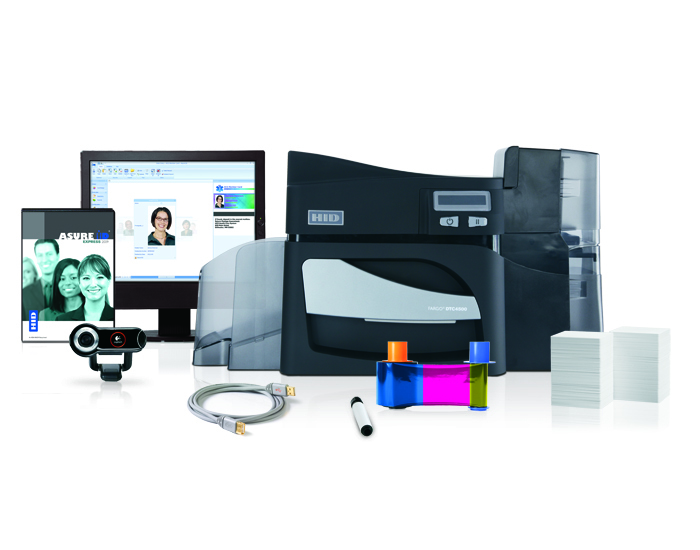 The printer can be enhanced with modules for encoding smart cards increasing card functionality. 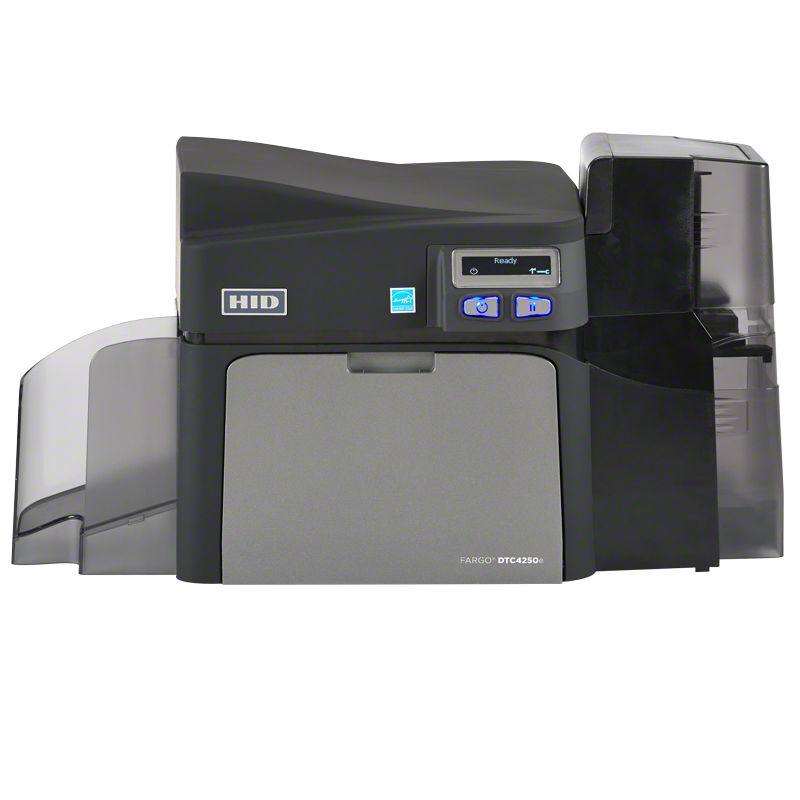 This networkable card printer allows for printing, encoding and laminating ID cards. By using the Ethernet port and internal print server, secure card issuance at multiple locations is available on a LAN. Including the fastest, most efficient Fargo HDP printer, this system is simple and easy to learn. New cartridges load in a snap and produce sharp cards. 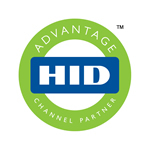 With over 120,000 printer installations worldwide, the HID Fargo brand is known as a high quality printer that produces time after time. Fargo ID printers and fargo printer supplies produce standard ID card badges, smart cards, proximity badges and cards with magnetic stripes. Select from a wide range of Fargo ID card printer systems in our online catalog or call us toll free at 888-486-4696 for additional Fargo printer information.